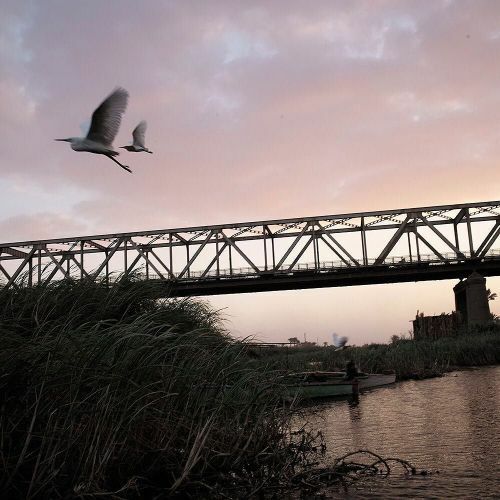 "The banks of the Nile, south of Cairo. The photographer @degnerd took this photo while working on a story about hepatitis C in Egypt, where 6 million people were infected by unsterile needles during the country's decades-long fight against schistosomiasis. The virus spread insidiously; today, at least 10 percent of Egyptians are chronically infected — the highest rate in the world. But a grand experiment that has been unfolding in Egypt over the past year may change all that. It could also become a blueprint for providing cutting-edge medicines to the poor. Visit the link in our profile to read more." By nytimes on Instagram.